Installing crowns on the teeth is the most popular way to return the teeth to their original look and functionality. In some cases, when there is a need to restore lost teeth, the most beneficial solution for both the patient and the dentist is the installation of implants. This is a very sturdy construction and these artificial teeth look almost like real ones. Crown installation is a type of restoration. A special prosthesis made in the laboratory covers the entire visible part of the teeth. The crowns are fixed with dental cement. This type of prosthesis is used to restore the functions of the tooth and its anatomical shape, in order to preserve the aesthetics of a smile. There are several types of crowns, depending on the material of manufacture. The choice of the type should depend, first, on the recommendations of the dentist, secondly, on the aesthetic requirements. 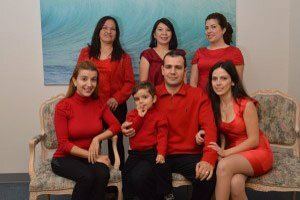 If you would like to make an appointment to see the best dentist in Burbank Dr. Sahakyan, contact us or give us a call at 1-818-578-2332. Ceramic crowns became the secret of the perfect smile of our time. Such prostheses are practically indistinguishable from natural teeth and this is their main advantage. Porcelain dental crowns are called products made of pressed ceramics, completely free of metal impurities. To date, porcelain teeth are one of the most common in orthopedic dentistry. Their popularity is due to improved aesthetics. The main positive aspects of the use of porcelain crowns in dental prosthetics include their complete identity to natural teeth. Due to their hardness and excellent appearance, they are quite popular among visitors to dental offices. They lack the drawbacks inherent in products with a metal base, do not cause darkening of the gums and allergic reactions. When the gingiva is thinning, the crown does not become noticeable, and even the lumen of the teeth looks natural. Porcelain dental crowns are installed on the front teeth. Ceramic crown E-MAX is a non-metal ceramic, made by injection molding under high pressure and at high temperature. Why Can You Choose E-MAX ceramic crowns? Do not require a strong turning of the tooth, keeping as many native tissues as possible. GOLD dental crowns are used in prosthetics of biting and chewing teeth. Gold is one of the safest materials for the body. This noble metal is completely inert and biocompatible. In addition, gold can be processed well. Their service life is practically unlimited. 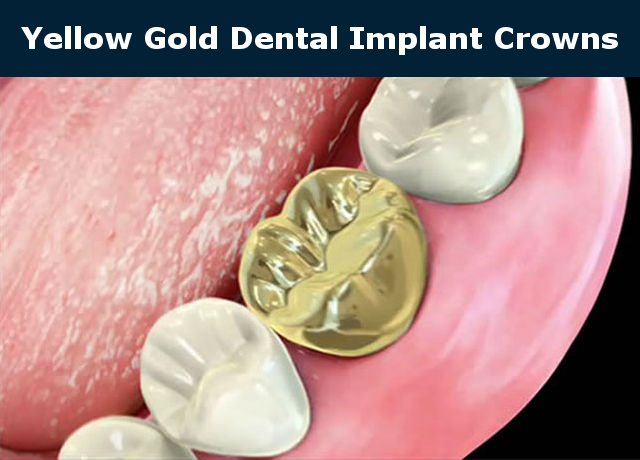 In addition to durability, gold crowns have a number of advantages, such as compatibility with the human body, the lack of allergic reactions and irritation. Gold is a fairly soft material, which ensures a tight fit to the tissues of the teeth. Because of this, bacteria do not fall under the crown, which has a favorable effect on the condition of the oral cavity. Zirconium dental crowns for the implant are in most demand by specialists and patients. The secret of popularity is simple. They combine good aesthetic qualities and high strength. Zirconium crown is very durable and easily withstands the full chewing load. Such prostheses can be used even for prosthetics of lateral teeth. The lack of metal elements in the frame provides an ideal biocompatibility. The zirconium crown is completely hypoallergenic and does not irritate the oral mucosa. Zirconium weakly conducts heat, so the patient will not be hypersensitive to hot or cold food. Over time, the crown will not change its original shade, it will not grind or chip away. Zirconium does not cause a gum darkening or stripping of the metal strip at the base of the tooth. High-quality crowns reliably serve more than 20 years. They are as close to the natural teeth as possible. They have a nonporous structure. Are the most reliable of all versions of materials for implantation. Among all brands of zirconium crowns, the most reliable are zirconium crowns “LAVA”. They allow installing crowns that have a more esthetic appearance. These crowns are completely indistinguishable from real teeth. Even a dentist with extensive experience will be able to differentiate the crowns, and the patient’s own teeth, only during the examination. The abutment and the crown are connected outside the oral cavity at the same time. They are forming a prefabricated structure. A screw is screwed into the special hole. 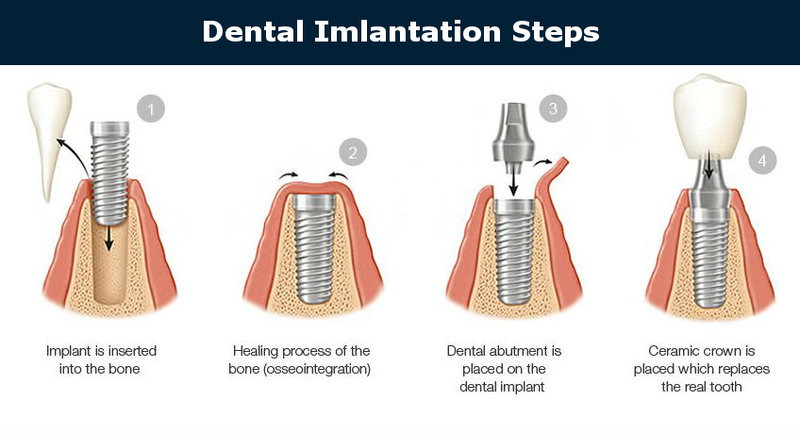 A screw after being mounted on the implant is closed with the filling material corresponding to the shade of the crown. The abutment, screwed to the implant with a screw, is fixed to the artificial tooth with a special cement containing composite glue. The main property of such material is depreciation. The procedure is performed directly in the patient’s mouth. What Type of Fixation Can You Choose? 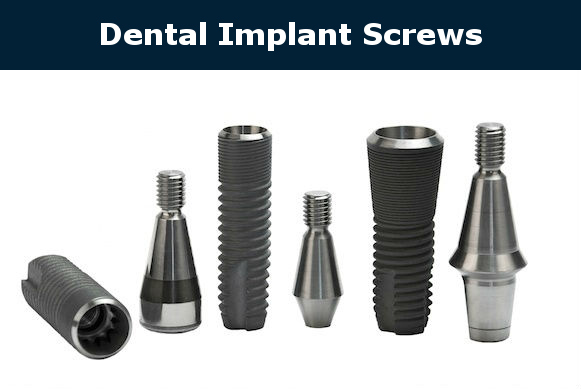 If you compare the two types of fixation of the abutment, the screw is more reliable and safe. After all, if necessary, the cap can be removed by removing the filling material and unscrewing the screw. So it is very easy to solve the problem if the screw is weakened, simply by replacing it with a new one. This is especially important when a whole bridge prosthesis is installed on several implants, as well as with the replacement of visible anterior teeth. Cement fixation will not require further adjustment. Choice of the optimal method of prosthetics is based on the position of the prosthetic teeth, the clinical situation and the financial capabilities of the patient. 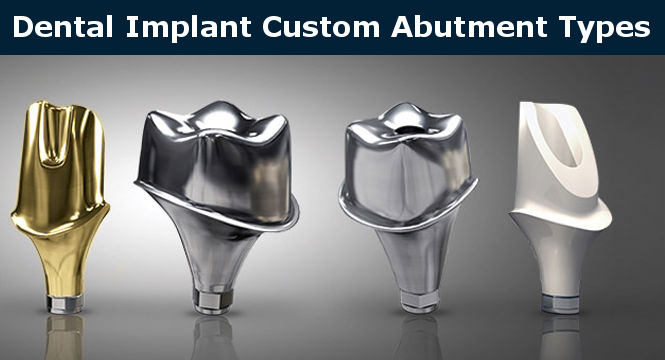 To make the prosthesis look aesthetically pleasing and serve for a long time, it is necessary to listen to the advice of the best Burbank dentist. It is also important to follow the recommendations for general dental care. The choice of crowns is very extensive, but there is no need to delve into all the details. It is enough to find the best dentist who will pick up for you a variant that suits both in price and performance. 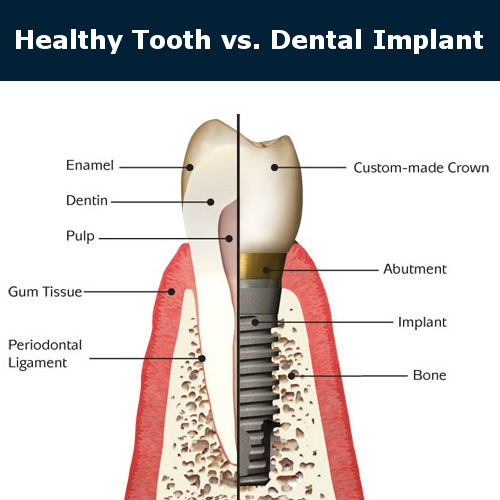 Please contact Dr. Sahakyan at My Dentist Burbank, if you need dental implant crown. 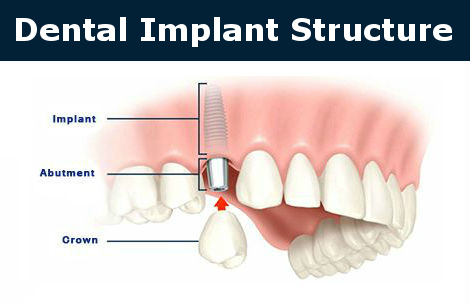 Our dentist will choose the correct material for your dental implant crown. Call 1-818-578-2332 for an appointment today.